Bill's Towing provides first-class towing service in the Central Jersey area. 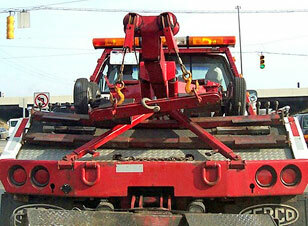 24/7 EMERGENCY TOWING SERVICE is available in the greater Mercer County NJ area. Bill's Towing offers fast, reliable service at reasonable rates. If you need roadside assistance or towing for your car, truck, SUV, van or motorcycle, call us now for immediate help. We are here to help you when you need it most, whether your car is stalled or has a flat tire, dead battery, accident, lockout, mechanical issues, etc. We can even jump start your car and deliver gasoline. We also provide fast reliable auto transport services, we buy junk cars in the Central Jersey area, and we are an auto salvage company.